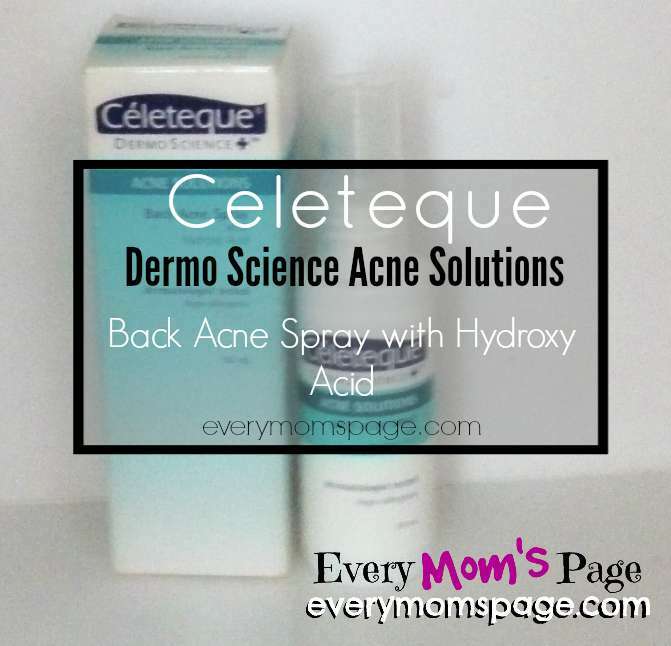 Celeteque is one of my most trusted brands when it comes to skin care. Infact, I have written several product reviews about their products. And due to a skin problem caused by warm weather, one of their I-haven't-tried-yet products will be put into test. Just recently, my hubby suffered from back acne. It was very unusual because he never had back acne before. 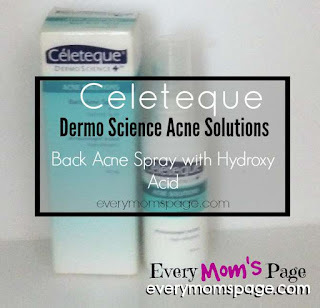 Good thing, I still have the Celeteque Dermo Science Acne Solutions Back Acne Spray with Hydroxy Acid in stock. I got this from Sample Room last year. Contains Salicylic Acid, which exfoliates the skin and reduces blemishes and acne breakouts. Has Gluconolactone, which gently removes the build-up of dead skin cells. This product has been clinically tested by a dermatologist. 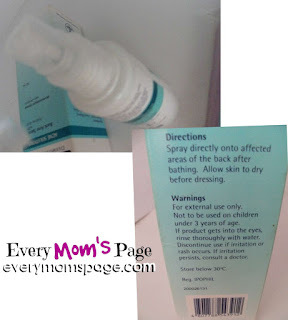 Spray directly onto affected area of the back after bathing. Allow skin to dry before dressing. So to address hubby’s back acne problem, he used Celeteque Back Acne Spray with Hydroxy Acid for three consecutive weeks. I though using spray is way too product consuming as it has a tendency for the product to go everywhere and a bit harder to control the amount of product that comes out. But not as I thought, it sprays out and covers perfectly on the focused area. Amazingly, all his back acne were gone after two weeks of continuous use but he used it up to the last spray. 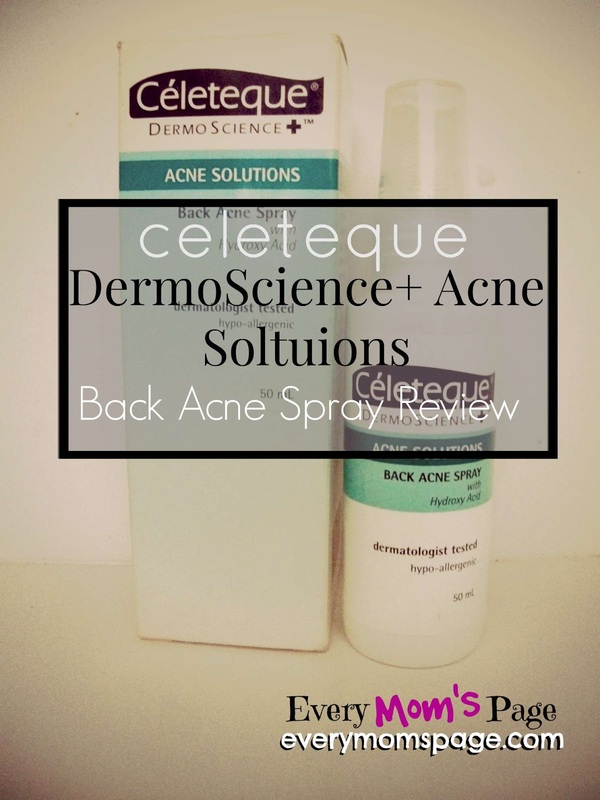 Hubby is very impressed on how Celeteque Back Acne Spray effectively had improved his skin. 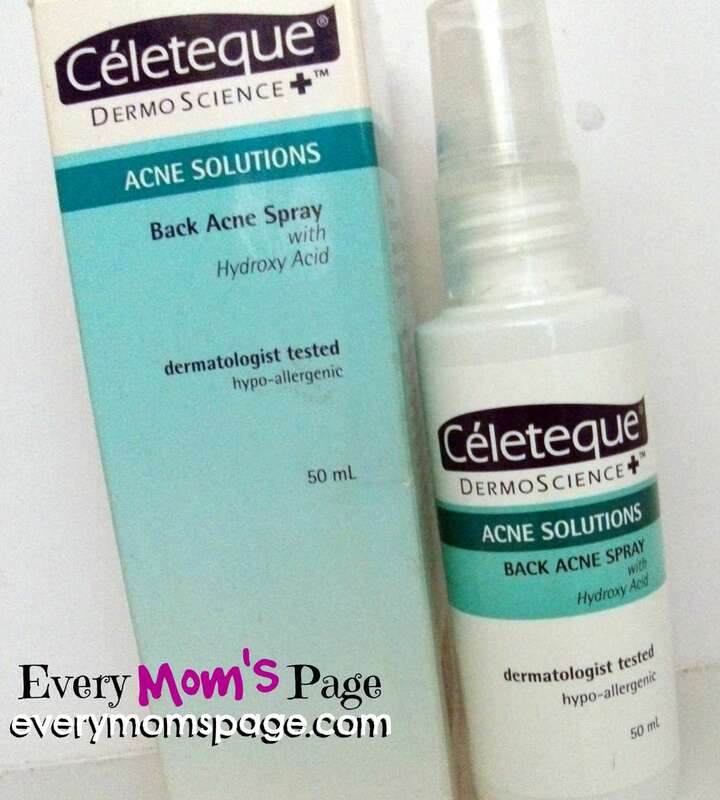 I highly recommend Celeteque Back Acne Spray because it is effective. I love it when I bumped into products that is very effective. Not to mention the reasonable price (PhP 320.00) and its easy to find. I am a Celeteque user. I love their products and they don't causes break outs. This is a must try. I am having breakouts lately due to stress and lack of sleep e. I also want to try their facial wash.